Become Abbey Bominable from Monster High with this adorable deluxe costume! Win it by entering below! 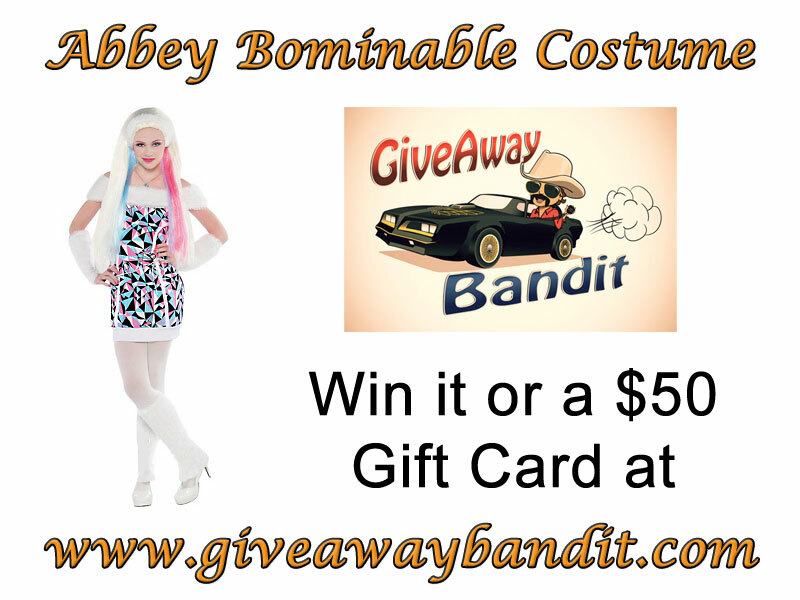 You can enter to win an Abbey Costume or a $50 Gift Card to the Halloween store of your choice! To enter to win simply fill out the rafflecopter entry form below. You may need to click “read more” to view it. Please allow a few moments for it to load. Open October 6, 2011 to October 14, 2011 at 12:01 am. The only mandatory entry is to ‘like’ us on facebook. All other entries are optional, but greatly increase your chances of winning. Good luck! « Buy a Box of Citrus Lane Kids Products for only $5 per Box! HAAA HAAA love the video! Your videos are so fun to watch! I have a blast on your blog! We can’t wait for Halloween. There’s some great choices this year. My kids are wanting to be Smurfs. My daughter would love to win this she loves Monster High. Thank for the chance and for all your giveaways! Enter via the rafflecopter entry form. thanks for the opportunity, i left a msg on the angry birds post, we could really use this gc this year. Howdy Bandit again! I made it to this giveaway and plan to win this one (I HOPE) for my lil ghoul! My 9 yr old sooooo wants this costume! They are sold out everywhere! My daugheter loves Monster High. She was looking at the costumes at the store trying to fiqqure iuyt who to be. this would be awesome. i would love to win for lacie she would flip if we won. love your giveaways and well your blog over all. Thanks! Thanks for giving me the opportunity to enter this giveaway!! You guys are having “too much” FUN! Happy Halloween! I love that video! Thanks for the giveaway! Love the video, my daughter watched it with me and loved it also! Would love to win. You guys crack me up. Hilarious!!!!!!!!!!!!! Thanks for the chance to win. I would love to win!!! I want the Adult Penguin costume since I’m going to see real penguins in 36 days. Thanks for the chafe to win! THANKS FOR ALL THE THINGS YOU DO…. Thank You … Good Luck everyone ! Hello there, just became aware of your blog via Google, and located that it is really informative. I am going to watch out for brussels. I will appreciate should you continue this in future. Numerous other people can be benefited from your writing. Cheers! I just like the valuable info you supply in your articles. I’ll bookmark your weblog and check once more right here frequently. I am fairly sure I will learn many new stuff proper here! Best of luck for the next!